The Golden State Warriors aren’t the only teams who can sweep a competition. 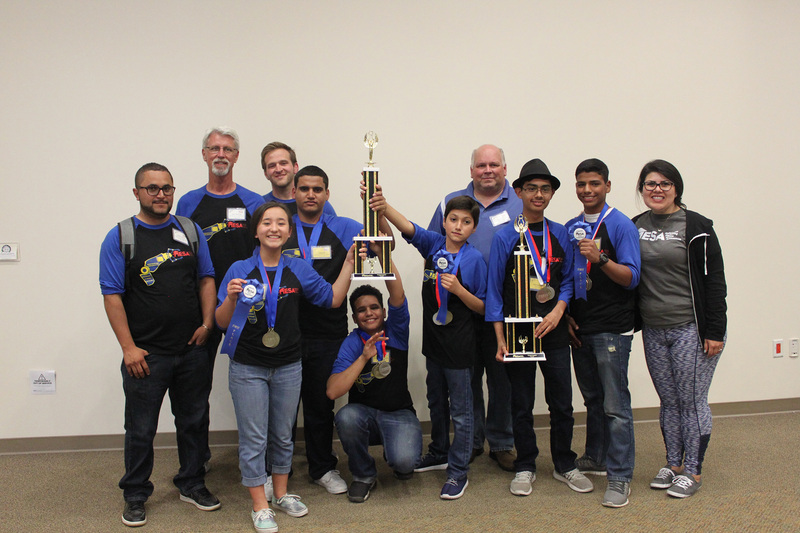 CSU Fresno’s MESA center grabbed both middle and high school titles and are headed to the National Engineering Design Competition in Philadelphia next month. The teams rose to the top, making the best robotic prosthetic arms in the state. Now they hope to keep the winning streak going. These teams beat out hundreds of others in California during preliminary and regional contests. This hands-on learning approach is an important part of MESA’s success by bridging the classroom to the real world. The Mendota Junior High Team is made up of 8th graders Yousef Ali, Isabela Hamasaki, Sergio Mejia and Samed Obaid. They are led by MESA advisors Dave Sackrison, Max McDougal and Carlos Tamayo. These teachers helped the team apply the math and science concepts they learn in the classroom to the engineering design techniques needed to create a functioning robotic arm. The Pacheco High Team is made up of 9th graders Ernesto Castro and Kevin Ramirez and are led by advisors Tim Burns and Cruz Flores. Both schools are served by the MESA center at the Fresno State Lyles College of Engineering. Congrats to our state champs and good luck in Philly!